Agra is the city of the glorious history of the majestic past. Agra City is situated on the banks of the river Yamuna in the northern state of Uttar Pradesh. It is one of the Best Tourist Destinations in India and the World which is included in the Golden Triangle circuit along with other major cities such as Delhi and Jaipur. It is home to the world's famous iconic Taj Mahal which was built for Shah Jahan's wife, Mumtaz Mahal. It fetches tourists from all over the India to spend their leisure time. Crystal Sarovar Premier which is one of the best 5 star hotels in Agra is most popular luxury hotels among tourists in Agra. The property is situated at Fatehabad Road in Agra. Agra City Railway Station is 7 km from the property. The property is fitted with 136 AC rooms that include amenities such as a work desk, flat screen TV, premium bath amenities and many more. Being situated near Taj Mahal, guests in the hotel can view the mesmerizing view of this symbol of love while spending time with their loved ones. Fitness lovers can shape their bodies in well-equipped gym/fitness centre. Table bounds are welcomed in the multi-cuisine restaurant can savor scrumptious dishes. The property also houses a special kids’ activity zone, in-house spa, banquet hall and a business hall. The place is a perfect choice for both type of travellers, leisure and business. Iconic Taj Mahal, Agra Fort, Jama Masjid are located at a distance of 3 km, 5 km from the hotel. 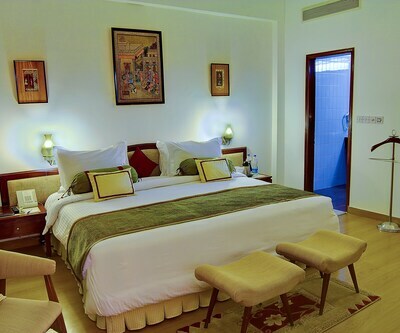 Raddison Blu is one of the sumptuous and swanky property is also listed among 5 star Agra Hotels. This premium hotel is 20 minutes’ drive from Agra Cantonment Railway Station and 35 minutes’ drive from Agra Airport. The property features 141 guestrooms with the pool or the inner courtyard views. It also includes a business centre, Health club and Spa, traditional Indian Cuisine at Daawat-e-Nawab and rustic barbeque at the poolside colorbar. 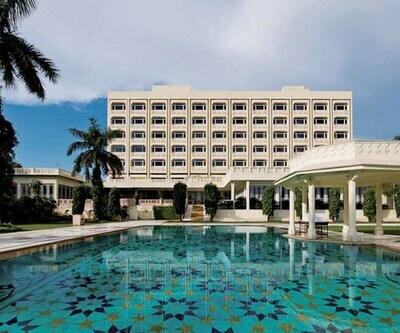 ITC Mughal is also one of the Best Five Star Agra Hotels which spread across 35 acres of luxurious gardens. It is the only Indian Hotels which have won the Aga Khan award for its excellent representation of Mughal architecture. It includes 233 rooms and suites. 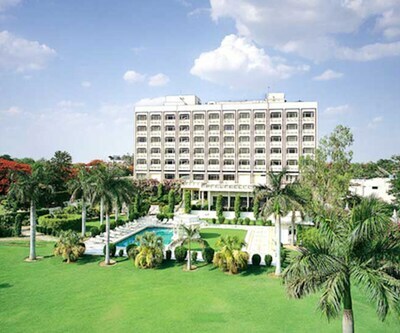 Clarks Shiraz continues the list of Luxury Hotels in Agra which is best for business and leisure travellers. It includes a multi-cuisine restaurant on the top from where one can see the clear view of the Red Fort and the Taj Mahal. 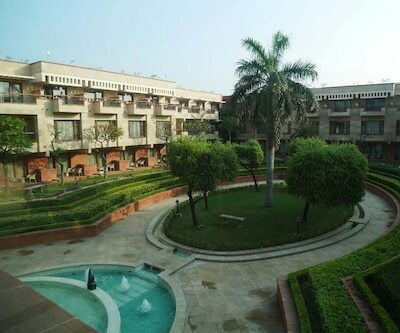 Radisson Blu Agra Taj East Gate, Trident Agra, the oberoi amarvilas, orient taj Hotels and resorts, ITC Mughal and Courtyard Marriott are some of the Luxurious 5 Star Hotels in Agra which are very comfortable and elegant to stay. Does the hotel clarks shiraz has any special rooms for honeymoon couples? Want to book radisson hotel is there any taj facing room.? DELUXE ROOM TAJ MAHAL VIEW is taj facing room in this hotel. Suggest me 5 star hotels near taj mahal.? My budget is 4500/- per night.? Crystal Sarovar Premiere is the 5 star hotel around 3 km from taj mahal.